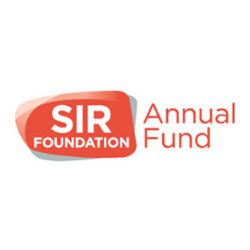 Donations to SIR Foundation are pivotal in ensuring that the foundation is successful in its mission of advancing interventional radiology through research and education. SIR Foundation does not receive support from SIR membership dues and relies solely on donations. Your donation is fully tax deductible and funding is directed toward projects and priorities that align with the long-term vision for IR as patients’ first choice for image-guided therapy. Consider joining the Pioneer Circle with an annual fund gift of $1,000 or more during the calendar year. For more information about the Pioneer Circle, please visit https://www.sirfoundation.org/donate/pioneer-circle. For questions about donations and SIR Foundation, please contact Terrianne Zeifman at (703) 460-5591 or Becca Ginns at (703) 460-5598.